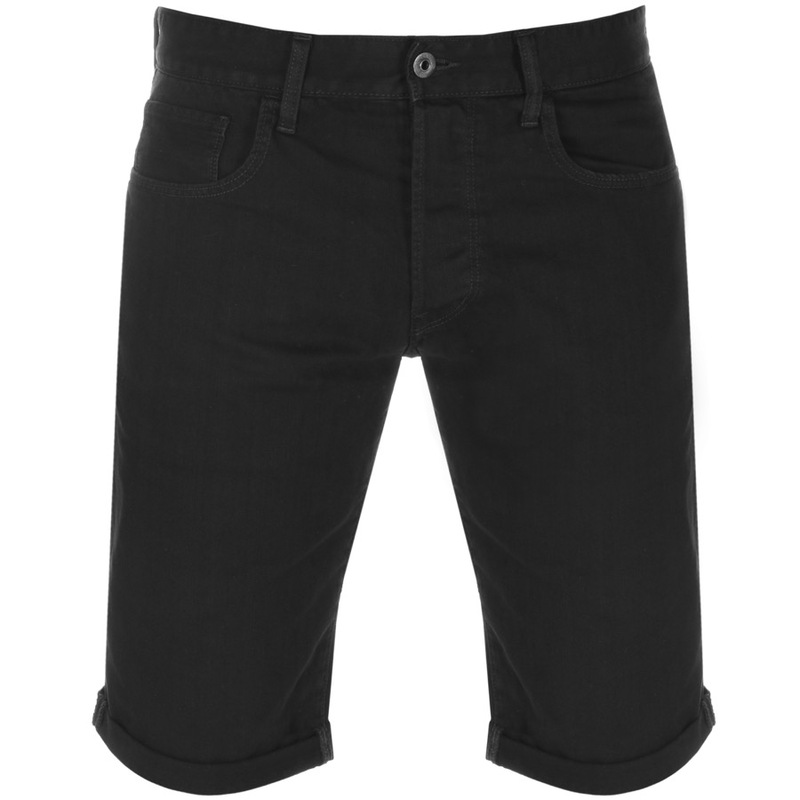 G Star Raw 3301 Denim Shorts In A Black Inza Denim, A distressed metal branded button fly with five belt loops on the waistband. Two hip pockets with a small coin pocket within the right pocket and two large pouch pockets on the reverse. A large G Star Raw logo patch is situated on the reverse right of the waistband in black. Stitched turn up cuffs on the legs with top stitching on the seams in black. 100% Cotton. Part Of The Fantastic G Star Raw Collection Of Jeans Live Online. At Mainline Menswear, we take the business of getting your order delivered seriously. Alongside our primary international delivery partner DHL we work to despatch every order the same day, providing our security check results are satisfactory. * For orders placed on or around UK Bank Holidays please allow an extra 24 hours for delivery.